Everlasting knowledge on Essential Woodworking Tools for Any one! Woodworking can be a fun and productive pastime. However, to get started, you’ll need a variety of tools. There are plenty of woodworking tools out there to choose from and it can be more than a little overwhelming. When you are first getting into woodworking, you don’t need all the advanced tools that a professional woodworker uses. In fact, it’s unreasonable to go out and buy every tool a woodworker might ever need for your first few projects. There are a few tools that you can’t go without, though. When you start building your woodworking toolbox and workshop, there are some items that you will want to focus on getting on first. Here, we will take a look at 5 of the most essential tools you’ll need when you start woodworking. There are a variety of tools that a woodworker needs to make sure everything they work with is measured correctly. You’ll need tools like a tape measure and items to mark measurements with such as a pencil are crucial as well. A good tool for measurement for woodworkers of any skill level - as well as stonemasons and metalworkers - is a combination square. Combination squares are multi-purpose tools that use a ruler and an interchangeable head. You can use your combination square for a variety of jobs. They can help to measure 90-degree and 45-degree angles by working as a protractor, find the center of a round piece, and of course work as a form of measurement. Combination squares can also be used a simplistic level which is particularly important to woodworkers. While all power tools aren’t a must for new woodworkers, there are a few that can do wonders for you. The most basic power tool you should keep around is a power drill. Power drills are a great choice because they are rather versatile tools. You can buy a variety of bits for them and they can help you remove screws just as quickly as they help you install them. One of these will definitely make your woodworking projects easier to get through. When you are choosing a power drill, there are a multitude of features that you can choose from. First, you can choose between a battery-operated model or one that plugs into the wall when you use it. You can also choose amongst ergonomic features, built-in lights, and accessories. A circular saw is a smaller saw that will help you cut and shape your wood as needed. This is a great choice to get started with because it’s easy to move around and it’s versatile. Seasoned woodworkers usually eventually graduate to a table saw but a circular saw is a great place to start. There are, much like a power drill, a variety of features that you can choose from when you are working with a circular saw. When it comes to the tool itself, there are aspects such as using a corded or cordless saw as well as finding one that feels comfortable to hold. You’ll also want to pay attention to the blade you’re using too. For new woodworkers, general all-purpose blades are usually the best choice. When you are starting woodworking, you have the option to sand everything you make by hand. It isn’t impossible but it does take time and you have to know what you’re doing. When you sand by hand, you have to pay attention to the grain and how you are moving your sandpaper. A way to make your life easier is to employ the use of a random orbital sander. 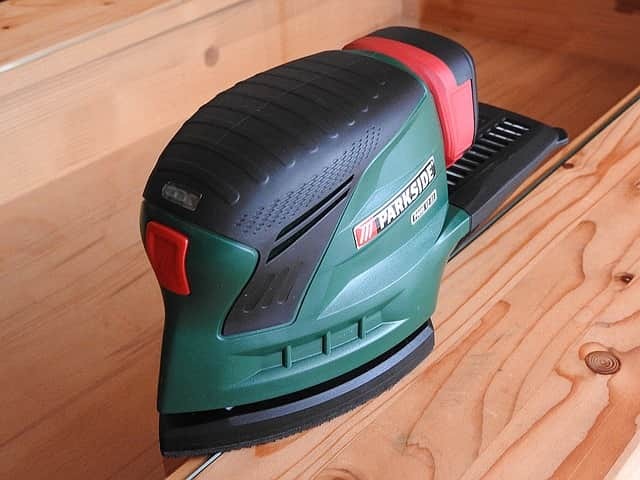 This sander is not only automatic which makes sure that the job is done in minutes rather than in an afternoon but it also has a circular motion. This motion means that you don’t have to pay as much attention to the grain of the wood and worry about sanding in the wrong direction. When choosing a random orbital sander, you should be sure to look for a model with speed options. While this tool makes the job go faster, you still want to control the work you do. 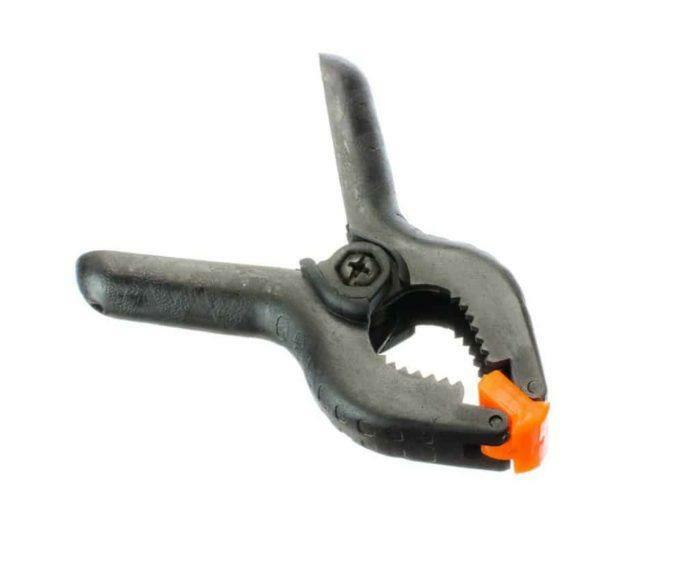 Clamps might not be the first tool you think of when it comes to woodworking but they can make your job so much easier. They are also great tools to help you with accuracy while you’re still learning. With a clamp, you can lock your wood in place while attaching pieces together to ensure that everything is going where it needs to go. 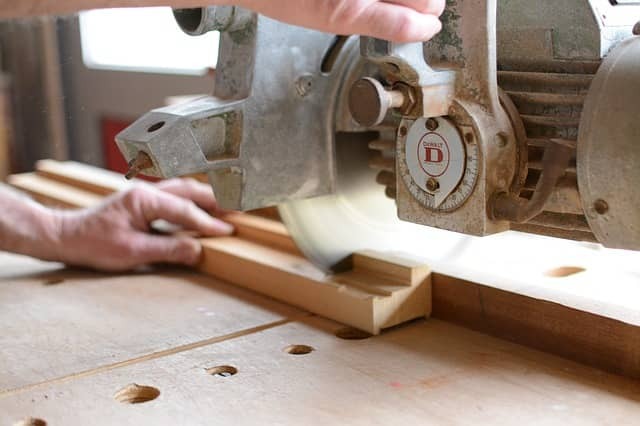 It takes out the worry of trying to control too many pieces of wood at once or the worry of pieces shifting while you work. Clamps come in a variety of sizes, so you can choose exactly what you need for your first project.